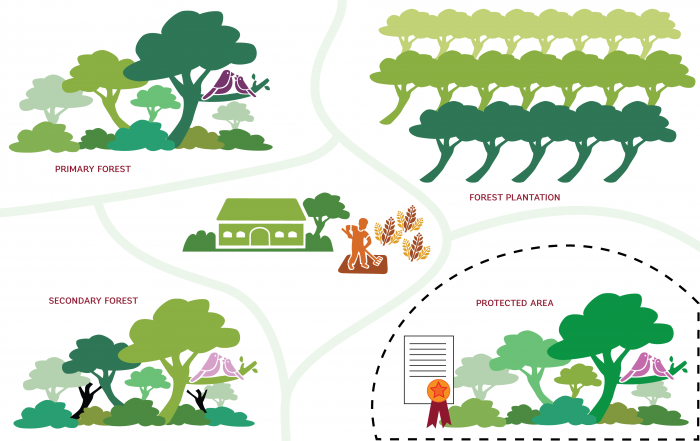 Why is sustainable cocoa better for the environment? The UTZ program adopts a balanced approach to sustainability, considering people, planet and profit in equal measure. Today, we take a look at sustainable cocoa with the environmental pillar in mind and with the help of Henriette Walz, Climate Change & Environmental Expert. She explains how your company is supporting the planet by sourcing sustainable cocoa. The UTZ program tackles this issue several ways. Firstly, there are strict rules related to deforestation in the UTZ program. To be certified, crops must be grown on land that is classified as agricultural or approved for agricultural use. There are also additional requirements that say no production is allowed in or within 2km of protected areas, like national parks unless there is a specific management plan in place for the area. “Another way the issue is addressed is by training farmers to implement good agricultural practices,” Henriette says. By improving farming methods farmers can increase their yields. This also means that there is less of a need to clear more land to plant new crops. 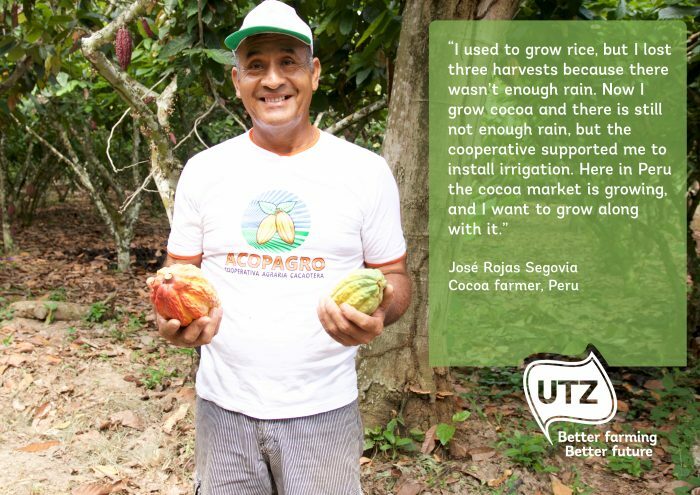 Besides the UTZ program requires cocoa farmers to replant parts of their plot every year, to keep an aging plantation productive and prevent farmers from clearing forest for new plantations. Another big problem facing the cocoa sector is climate change. “Yield and quality of cocoa are affected by higher temperatures and more frequent droughts, which we are now seeing as a result of climate change,” Henriette explains. 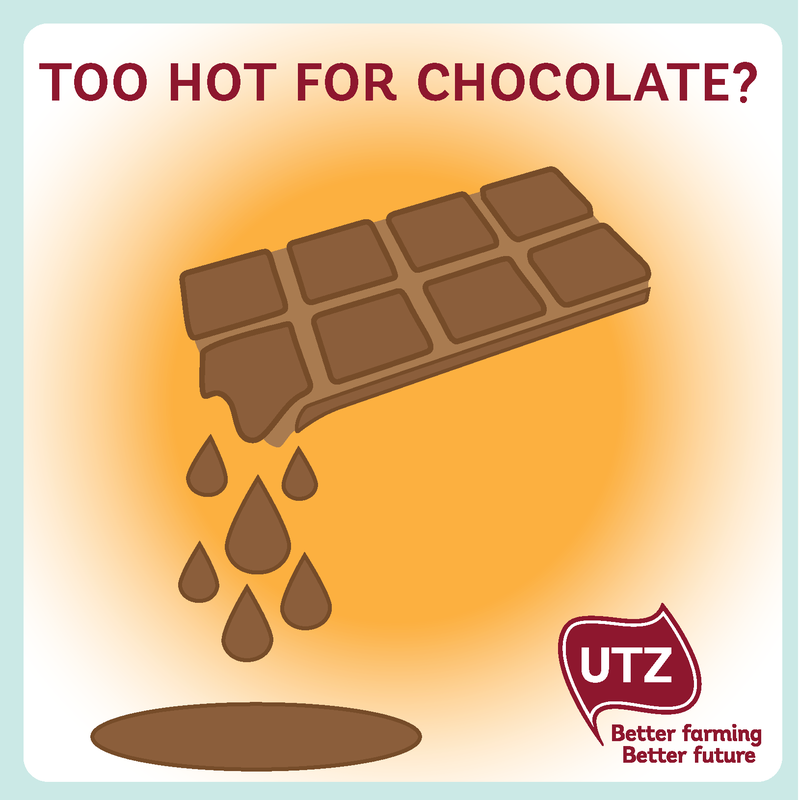 “Also, pests are becoming much more difficult to manage.” By 2050, it is expected that the annual temperature globally will have risen so significantly that many cocoa production areas will be too hot to grow crops. “UTZ farmers are trained to implement good agricultural practices now that can help mitigate these risks posed by climate change in the future,” Henriette says. For example, planting shade trees can lower air temperatures around the plant and protect against soil erosion from heavy rainfall. Better water management techniques also help producers adapt to a decreased availability of water. More precise irrigation methods make sure that plants get the right amount of water that they need at the right time and through improved water storage water can be kept and used in time of droughts. 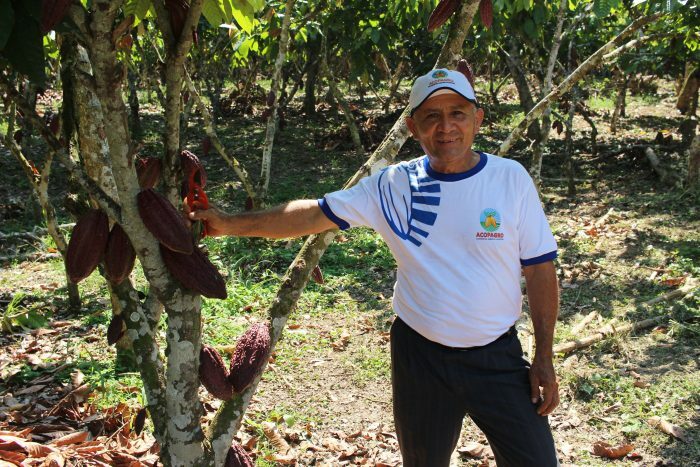 Sustainable cocoa is making tangible differences in the lives of farmers and the environment. By purchasing sustainably produced cocoa, you and your company are supporting these positive changes. Why not spread the word? Download our marketing toolkit on climate change for tools to tell your sustainability story, and learn more about climate change here. Why is sustainable coffee better for the environment? Are UTZ farmers allowed to use pesticides?